Sungei Wang celebrates this Mid-Autumn Festival with the fourth edition of parade themed as Moonlight Stardom Lantern Parade. In collaboration with Sungei Wang Plaza Merchants Association, this fun-filled event was officiated by YB Fong Kui Lun, Member of Parliament for Bukit Bintang. “Being one of the largest events in Sungei Wang, Moonlight Stardom Lantern Parade is happening on 22 September 2018. The parade hyped with local artistes and 988 radio announcers together with other fun activities on the event day. Sungei Wang constantly present a unique experience to the shoppers and attracts tourists from around the world. We will continue the efforts to let tourists experience the Malaysia festive celebrations through various events like Lantern Parade,” says Ms.
Yuen May Chee, Complex Manager of Sungei Wang. On the parade day, the Official Radio 988 radio announcers, Min, Brandon, Cassey, Fish, Danny, Cheryl, and Jason were there to join the fun-filled evening. Not only that, the event was also hyped up with special appearance of Haoren, Ahya and Odd Tomato, the Steady Gang. They were on-stage for a meet and greet session and interacted with their fans up close and personal. 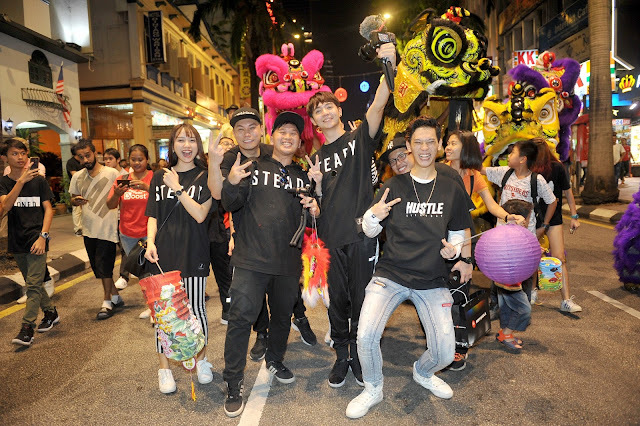 The evening was then performed by Haoren, speech by Ms. Yuen May Chee and Moonlight Stardom dance performance was also performed to entertain the crowd with the entertaining dance during the era. Thereafter, the lantern parade was flagged off by YB Fong Kui Lun from the Main Entrance of Sungei Wang, circulating Bukit Bintang, together with attractive performances by the Lion Dance and Dragon Dance troupes and a group of stilt walkers to complete the celebratory ambience. 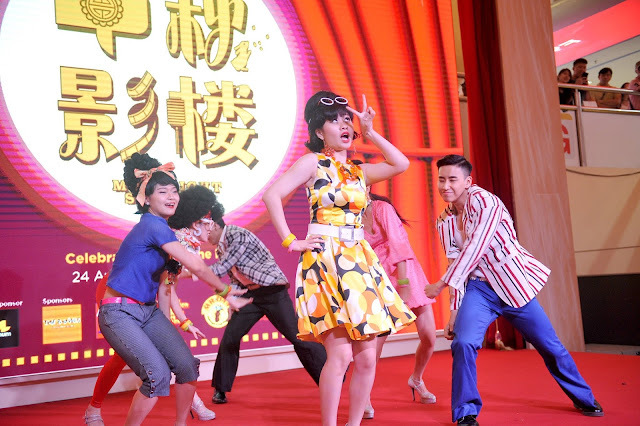 Both local and international tourists were mesmerized by the plethora of Chinese cultural entertainment from this Moonlight Stardom Lantern Parade. Not forgetting the less fortunate, shoppers were encouraged to donate generously for the charity lantern donation drive campaign for Rumah Kanak-Kanak Angels Kuala Lumpur on the parade day by donating a minimum of RM2 for a limited edition Sungei Wang lantern. All proceeds will go to the home by the Mall Management. During the parade day, Main Sponsor, Magnum has set up a game booth to organise interactive game activities for all shoppers while shopping at Sungei Wang. Shoppers also walked away with merchandises from the game booth. Sungei Wang Moonlight Stardom is proudly presented by Sungei Wang with Magnum as the Main Sponsor, The Bowls, Dubuyo, The Chicken Rice Shop & Mr. D.I.Y. as Sponsors and 988 as the Official Radio. http://www.sungeiwang.com or Sungei Wang Facebook page a www.facebook.com/sungeiwangplaza.